Successfully Added Xiaomi Multi-Function U-Shaped Neck Pillow - Massage, Lightweight, 95% Cotton, Quiet, Easy to Move Around, Sleep Mode to your Shopping Cart. The memory sponges will adapt according to your body. The design of the pillow makes cleaning easy. The neck pillow designed by Xiaomi is the best solution for a strained neck. With this pillow, you can alleviate the neck pain and pressure. This neck pillow is constructed using the premium quality materials that make it long-lasting. The neck pillow is 95% cotton, made using Peru cotton that is breathable and soft. The other materials used is 5% spandex and polyurethane. The double pillow cloth cover is extremely easy to clean. You don’t have to worry about the pillow getting dirty. The interior of the pillow is designed in a way that makes it hard to stain. The pillow features a massage mode that will help you relax and get rid of the pressure. The massage cycle of the pillow is about 10 min, which is more than enough to release pressure. This neck pillow has a sleep mode as well, helping you have a better sleep. Another amazing feature of the pillow is the patent lock that enables you to bind and loosen it with minimal effort. The lock is durable and secure that will not loosen up. The pillow by Xiaomi is beautifully designed and has an invisible zipper. It is not only attractive but also functional and practical. Moreover, the pillow has high-density memory sponges that are soft and reliable. It will support you like gentle hands, so you will not be uncomfortable wearing the neck pillow. The memory sponges are capable of adjusting the pillow according to your neck, waist, hands, and legs. The Xiaomi neck pillow is very light in weight that you can carry around easily. The pillow is powered by 2 AA batteries and the rated power is 1.4 W. The working time of the pillow is about 2.5 hours, it means the battery will last for long period of time. A great thing about this pillow is that is not loud. The package of the Xiaomi pillow includes one U-shaped massage neck pillow. This is a great way to eliminate the neck pain, relaxes your muscles and helps you sleep better. 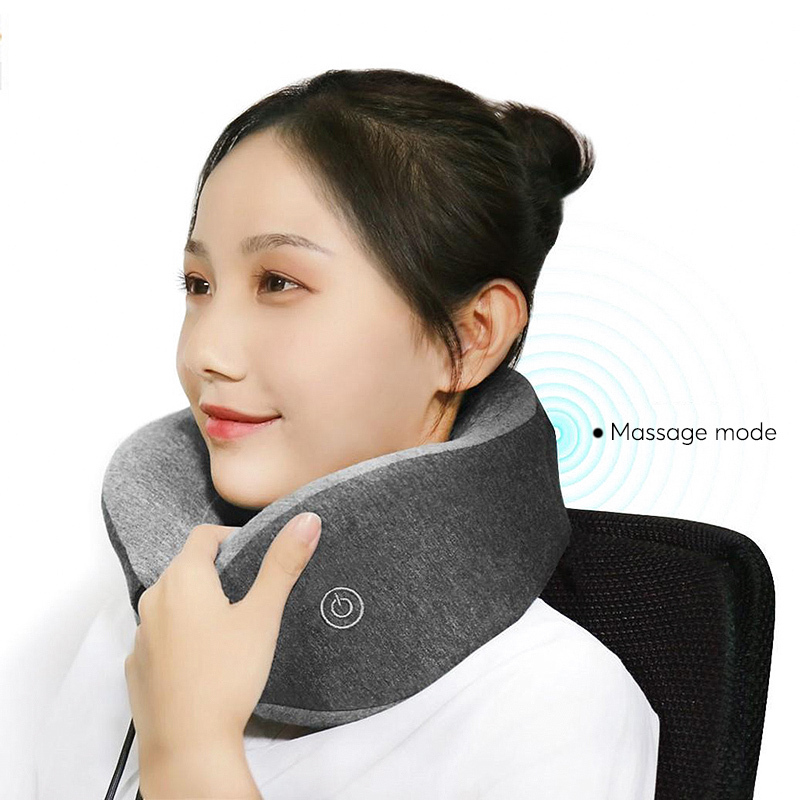 This Massage Neck Pillow by Xiaomi comes with 12 months warranty, brought to you by the leader in electronic devices as well as wholesale cool gadgets..